Fast, easy, portion-controlled, labor saving frozen cocktails from a machine that will last long! 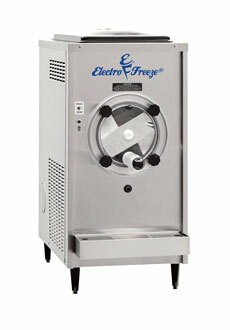 This high-volume, counter-model cocktail freezer is pre-set for a high-quality, thicker consistency beverage, perfect for premixed cocktails like margaritas, daiquiris and spiked teas. The large visual product window provides excellent display and merchandising of fun beverage colors. Product viscosity, or thickness, can be manually adjusted to dial-in beverages to your serving requirements. The 876B can be water-cooled for large banks of machines in operations like daiquiri bars. 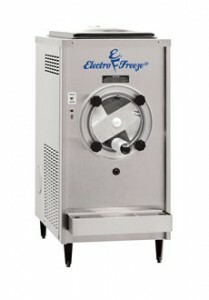 There is an option for a refrigerated hopper (BRH) for serving real fruit or dairy mixes, like frozen cappuccinos! This model is perfect for bars, nightclubs, Mexican restaurants and taquerias.